Edit: use this button if you wish to change the default values for the volunteer opportunity, its name or description. View Volunteer Opportunity on Public Site: This button will take you to the public site where you'll see how the volunteer opportunity appears. Back to List: takes you back to the volunteer opportunity search page. What do you edit in the volunteer opportunity? What do you edit in the occurrence? The rest of the fields in the Volunteer Opportunity are just default values used when creating new occurrences. To update the following fields - edit the occurrence instead of the Volunteer Opportunity. (updating the volunteer opportunity will not change what appears on the public site, because these are determined by the occurrence (and can be different for each occurrence associated with the opportunity. 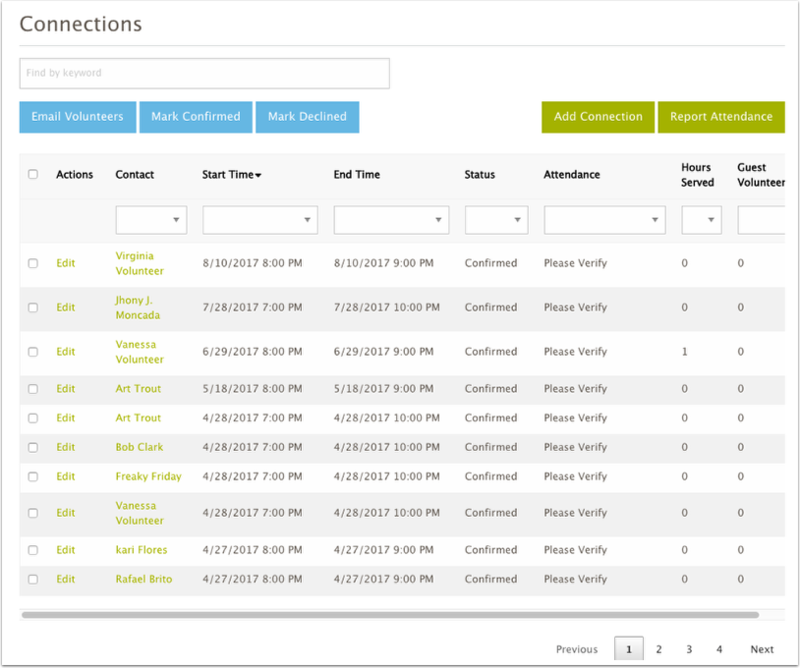 The Connections Grid gives you access to all the volunteers who have signed up or expressed interest in the volunteer opportunity. For details on using the connection grid, see this article. Note: Depending on how your organization has configured the sharing portal, there may be more or less fields and sections visible in the opportunity details page. The illustration above is the standard configuration. 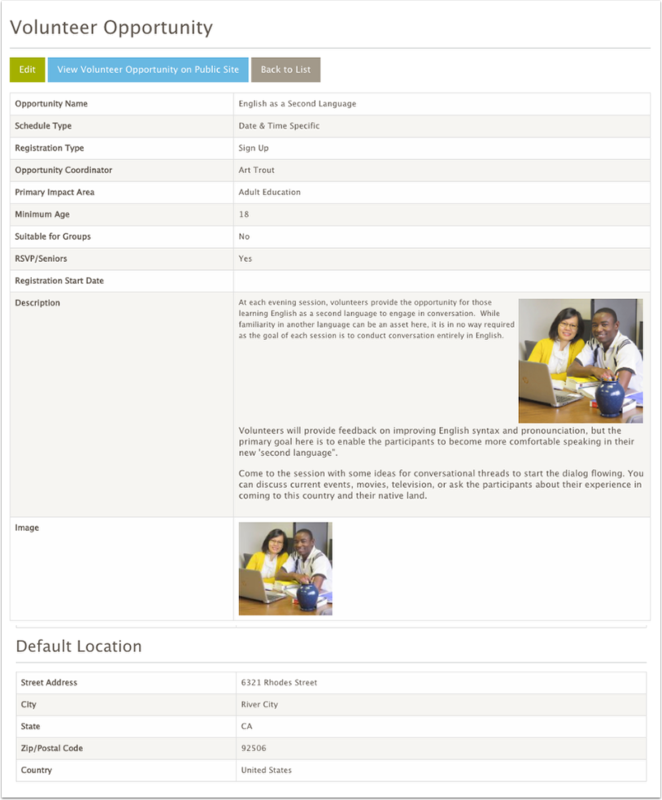 There is an additional button at the top of the Volunteer Opportunity Detail page if the opportunity is Schedule Type "Individually Scheduled" and Registration type "Express Interest with Schedule"
The button is called "View Scheduler" and this allows you to edit the schedule you created when you first created a volunteer opportunity of this type.